Sponsored by Tour Buddy Service Project- All costs are Free. Experiencing the old spirit and soul of Tainan city: the slow motion living style . These attractions with Unique features categorized as Authority, Fashion, Art, Ancient, and Delicious, Only can be seen in Tainan. Authority, Old Tainan Magistrate Residence- The building served as residence for the local Governor, as well a Royal Residence of Japanese Imperial Family. Therefore, it represents highest authority among buildings. Fashion, Guangfuhao- The first traditional clothing company, created by Taiwanese Designers, brings new image and fashion factors into bags design industry. Art, Chin Men Theater- It is the best known second-run movie theater in Taiwan, and also the One and Only cinema still using hand-painted movie billboards. Ancient, Zhen Xing Shoes Store- From Japanese Colonial Era, wooden clog culture is common memory of our ancestors. To continue that beautiful era, Zhen Xing Shoes Store still provides this ancient wooden clog making skill and service. Delicious, Taicheng Fruit Shop- This particular fruit shop is best known for selling wide variety of tropical fruits. 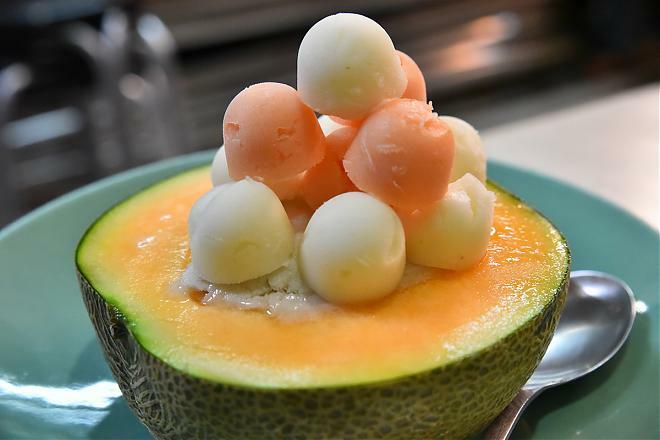 Its most famous invention, Melon Ice Dessert, is only produced in here not anywhere else. Tour Buddy Network, especially for Backpackers, is to attract international youth to Taiwan. Youth Development Administration has provided the International Youth Travel Tour Buddy Service Network as a service center for international youth travelers interested in traveling to Taiwan. Each service group was asked to provide two tour lines containing the best of local attractions with free tour guides (by appointment in advance only). With volunteers from colleges across Taiwan, the Youth Development Administration hopes to promote Taiwan』s travel industry to international youths by introducing Taiwan』s high mountains, island scenery, diverse culture, friendly people and great food through the eyes of its youth. Year 2017 the Tour Buddy Service Project was partnered with Southern Taiwan University of Science and Technology, Department of Leisure, Recreation and Tourism Management and The Cultural and Creative Park, carrying out two distinguishing feature tours. Both tours share the common theme of experiencing Tainan Creative Life for young travelers, especially foreigners. One of the tours named 「Taiwan Creative Life Youth Travel－The Unique and Only」is introduced as follow. You can easily experiencing the slow motion life in Tainan by traveling only with a bag, camera and a wallet. 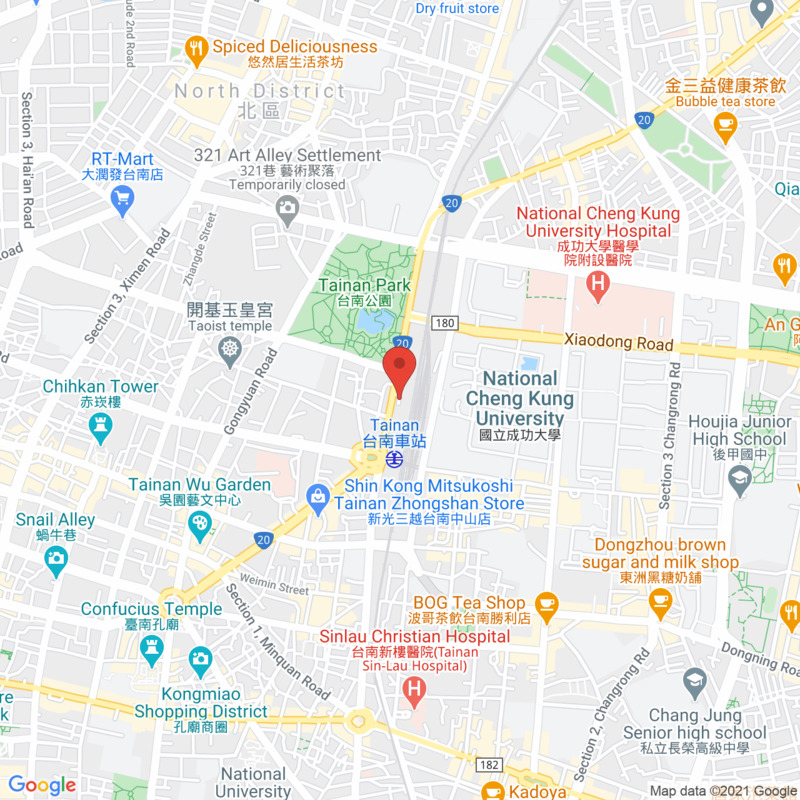 With these and a good mood, you can record every traits of corner you visited, like walking in a historical meaningful street, admiring the 「Old House, New Life」 building, or looking for traditional cuisine among alley. This kind of trip can by car, bicycle or walking, but the best way is with an Electric Motorcycle for that it provides the suitable speed for tasting this old city without compulsive annoying helmet or drive license needed. 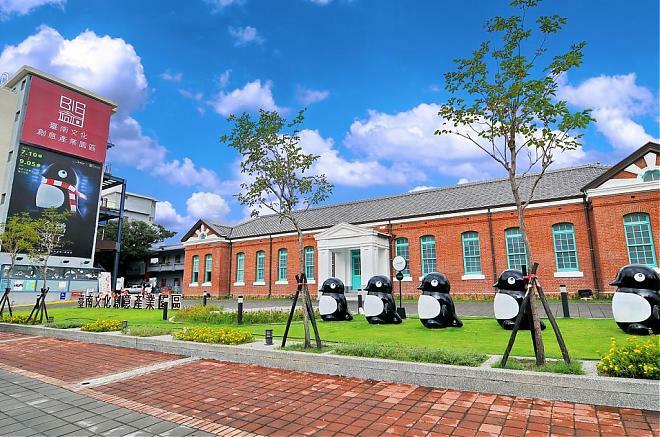 If it needs to find an Old Soul among all cities in Taiwan, the first image emerged is always Tainan due to its highest number of historical sites. Tainan』s unique charm not only from old temples or historical sites, but generated by its specific industry and culture. Tired of the stereotyped and routinized itinerary? Don't worry! The designed tour 「The Only and Unique」will never fail you because it brings the Only and the Unique experience cannot be found other places than Tainan. This creates the best opportunity to glance Tainan from different angle, even to convert life style by switching travel mood in this tour. 1.This guided tour provides free narration service for teenager age from 15-30, sponsored by Youth Travel Tour Buddy Service Project, directed by Youth Development Administration, Ministry of Education. 2.Travel insurance is not included within the tour. The Tour Buddy Service Team will not responsible for any extra charge derived from accidents during the tour, for example car accident, injury or stolen. 3.Each participant needs to fill the Questionnaire of Tour Buddy Service (it has 2 pages can be located inside pictures) and give it to the on duty Volunteer. Fail to do so will be reject from the Tour Buddy guiding service. 1.Free charge for all teenagers age from 15-30 years old. 2.The guiding tour service provided by Tour Buddy service team. 1.Rental fee 500$ a day for Electric Motorcycle (it bearers 2 people). 2.All entrance fee for attractions or traditional cuisine introduced in the design tour. 1.Electric Motorcycle rental information https://www.facebook.com/oodo.bike. 3.Battery is very durable, distance can reach 100 km and maximum speed up to 60 km/hr. 4.Promote low-carbon and green travel, protect our earth!